Now the Lord is the Spirit, and where the Spirit of the Lord is there is freedom. And we, who with unveiled faces all reflect the Lord’s glory, are being transformed into his likeness with ever-increasing glory, which comes from the Lord, who is the Spirit. When the Son of God became the son of man, He gave up all the privileges of deity. In emptying Himself of His former exalted state, He became the God-man. Now as God in the flesh, He trusted the Father’s plan for the success of His redemptive mission to earth. John the Baptist was the prophet God called to introduce Jesus as the Lamb of God who takes away the sin of the world (John 1:29) and the One who would baptize His followers with the Holy Spirit and with fire (Matthew 3:12). John also testified of Jesus, For the one whom God has sent speaks the words of God, for God gives the Spirit without limit (John 3:34). Since the Father could trust Jesus, He gave Him an unlimited measure of the Holy Spirit. We need to remember that our Lord was fully dependent on the Spirit for all His worship of the Father, His many miracles, and even His endurance of the traumatic suffering He experienced in His crucifixion—who through the eternal Spirit offered himself unblemished to God (Hebrews 9:14). We need to realize that from the time of our Lord’s baptism by John the Baptist in the Jordon River when the Holy Spirit descended on Him, He relied completely on the Spirit for all that He said and did. He answered the questions in the minds of His hearers as to the power by which He ministered by saying, “The Spirit of the Lord is on me, because he has anointed me to preach good news to the poor. He has sent me to proclaim freedom for the prisoners and recovery of sight for the blind, to release the oppressed, to proclaim the year of the Lord’s favor” (Luke 4:18-19). Jesus sought to prepare His disciples for receiving the same Holy Spirit to carry out His orders to them to take His gospel to the ends of earth. He wanted them to rely upon the same Holy Spirit who had worked faithfully in His own life and ministry. He spoke to them, saying of the Spirit: He will guide you into all truth. He will not speak on his own; he will speak only what he hears, and he will tell you what is yet to come. He will bring glory to me by taking from what is mine and making it known to you (John 16:13-14). 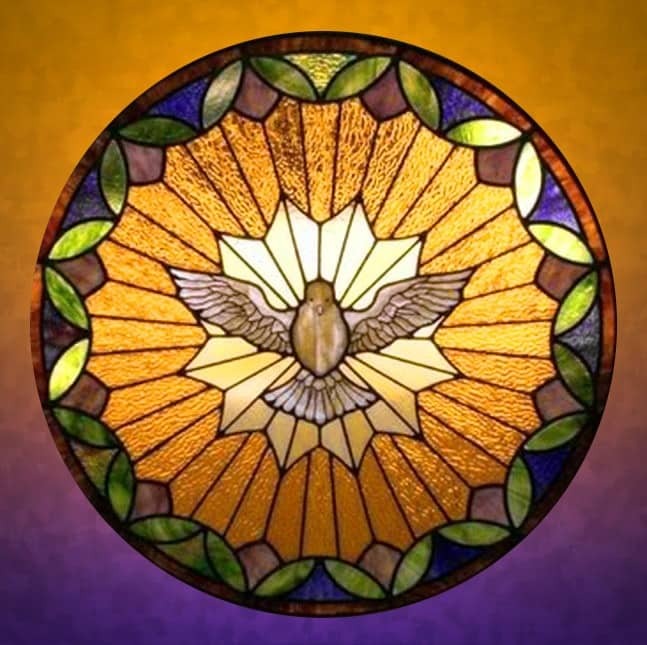 The promise of Jesus to send the Holy Spirit to His disciples was fulfilled on the Day of Pentecost, as recorded in Acts 2:1-4: When the day of Pentecost came, they were all together in one place. Suddenly a sound like the blowing of a violent wind came from heaven and filled the whole house where they were sitting. They saw what seemed to be tongues of fire that separated and came to rest on each of them. All of them were filled with the Holy Spirit and began to speak in other tongues as the Spirit enabled them. The same Spirit that had filled Jesus, empowering Him for His ministry, now filled His messengers for living the Christian life and for proclaiming His gospel to the world. Even the enemies of Christ who had crucified Jesus noticed that the apostles of Jesus reminded them of what they had seen and heard from Jesus. When they (members of the Sanhedrin who had condemned Jesus) saw the courage of Peter and John and realized they were unschooled, ordinary men, they were astonished and they took note that these men had been with Jesus. But since they could see the man who had been healed standing there with them, there was nothing they could say (Acts 4:13-14). The good news is that any Christian believer who hungers for the fullness of the Holy Spirit may ask, believe, and receive this same Spirit of Jesus. No Christian life is complete without His power to love, pray, worship, obey the Scriptures, and walk in holiness and power. Living in the power of the Spirit is a joyful life, something which too many Christians do not experience. Isn’t it time for us to trade in our weaknesses for the power of the Spirit of Jesus in our lives. When Christ called us to follow Him, He never intended that we live merely by our own strength. He intended that we trust His promise and live by His Spirit.